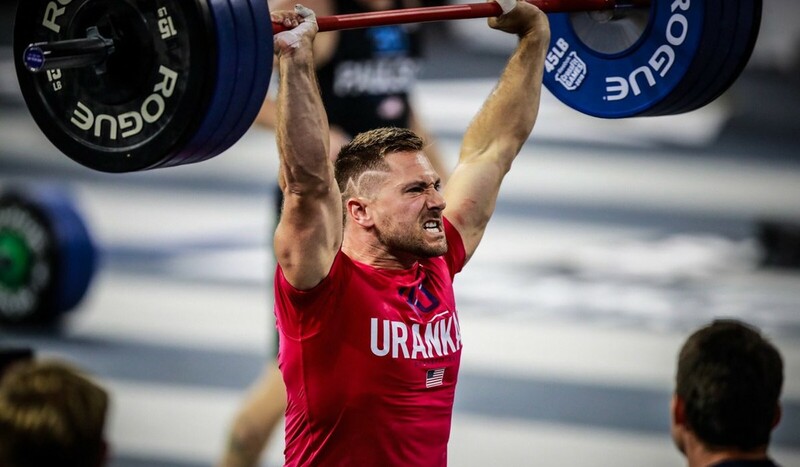 The 2018 CrossFit Games action continued on Friday in Madison, Wisconsin with plenty of drama unfolding at the Aliant Energy Centre. 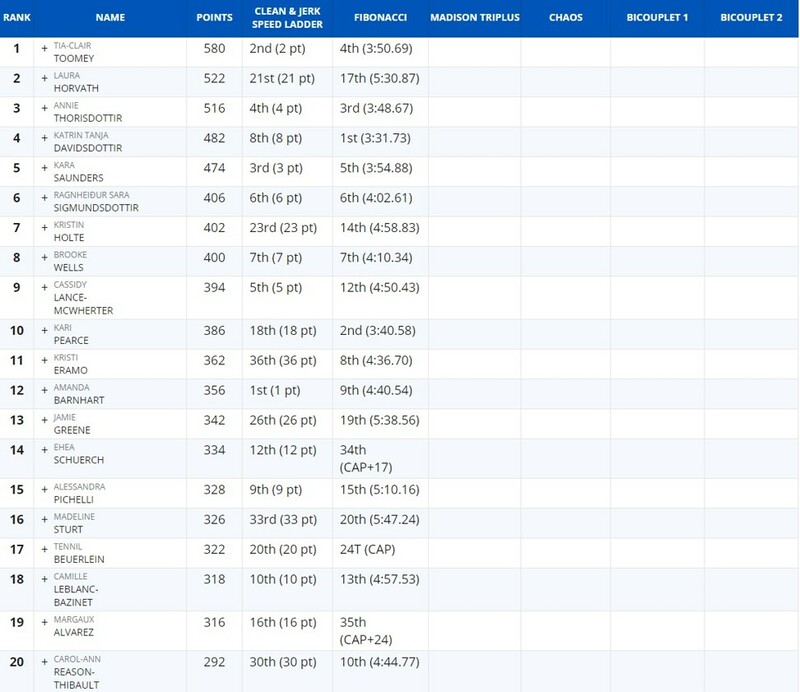 Two-time defending men’s champion Mathew Fraser managed to hold onto his lead atop the men’s standings, despite missing out on the final for the men’s Clean and Jerk Speed Ladder – which Dave Castro revealed an hour before Individual Event 6 was set to start. The American made up for his seventh-placed finish there by coming first in the Fibonacci (5:54.84). 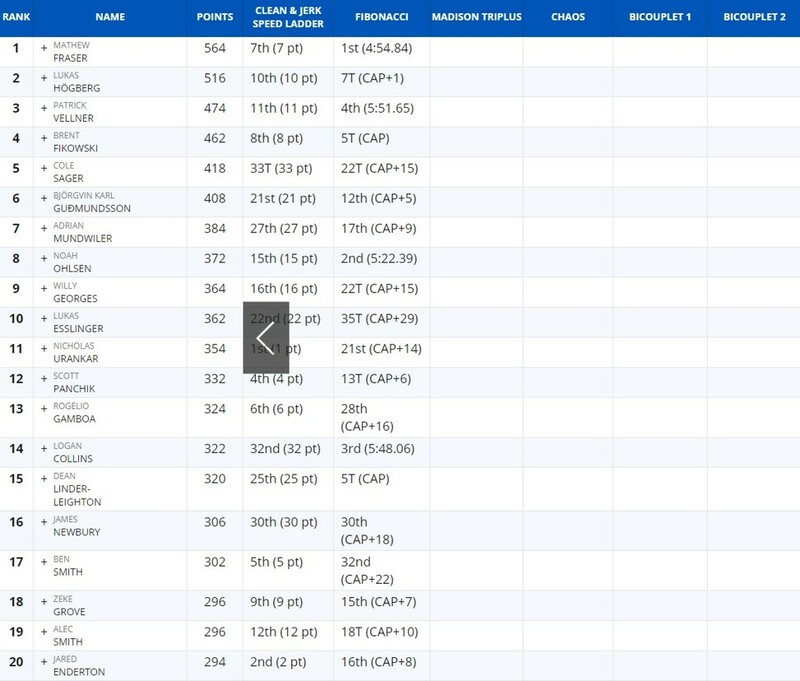 Lukas Hogberg, Patrick Vellner, Brent Fikowski and Cole Sager round out the top five in the overall standings. 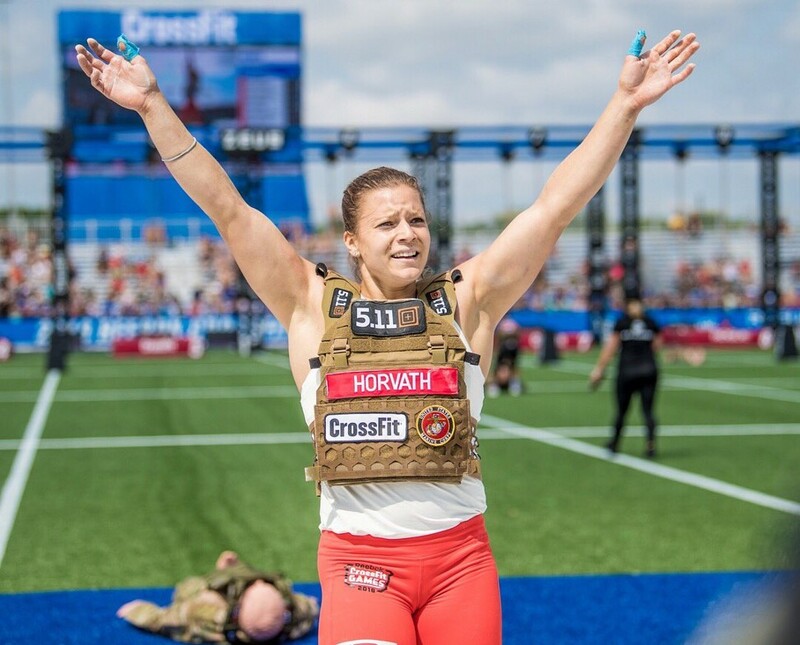 In the women’s competition, Laura Horvath was looking good to keep her place at the top of the standings after wining the Battleground, the opening event of the day. 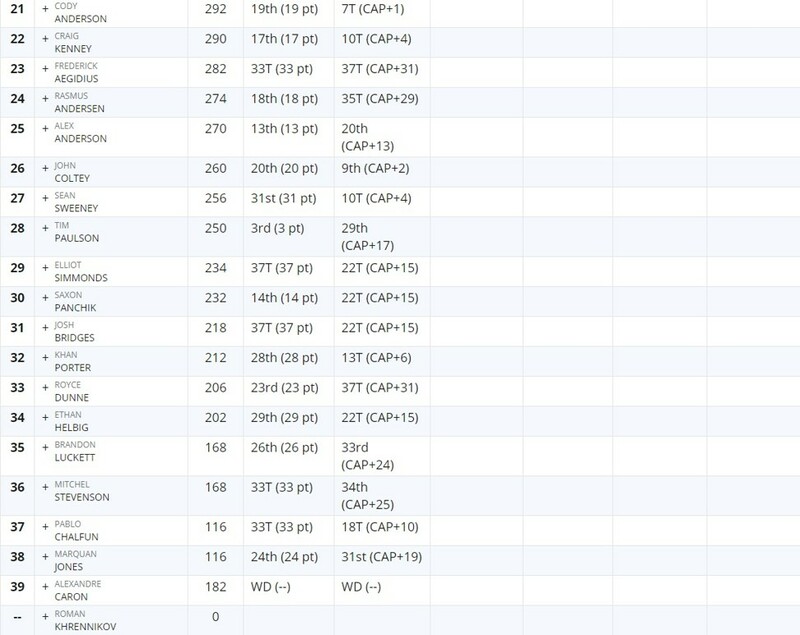 But then she had a disastrous time in the Clean and Jerk Speed Ladder, finishing 21st, and came 17th in the Fibonacci (5:30.87). That allowed Tia-Clair Toomey to overhaul her at the top. The defending champion has 580 points, with a 58-point lead. 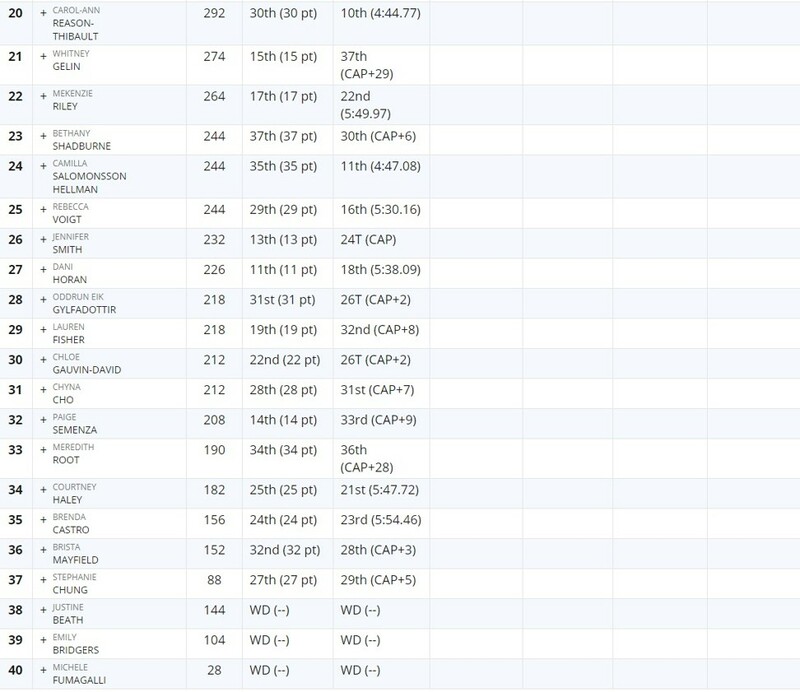 Annie Thorisdottir (516) lies in third place, ahead of compatriot Katrin Davidsdottir (482) and Kara Saunders (474). Things are nicely poised for what promises to be an action-packed Saturday, which gets under way with the Madison Triplus swim before a bit of “Chaos” and some Bicouplets. Here’s a full recap of all the action from Friday. This year’s obstacle course served as the first workout for individual athletes on the second day of competition. Male athletes had to wear a 9.1-kilogram vest, and female athletes a 6.4kg vest. 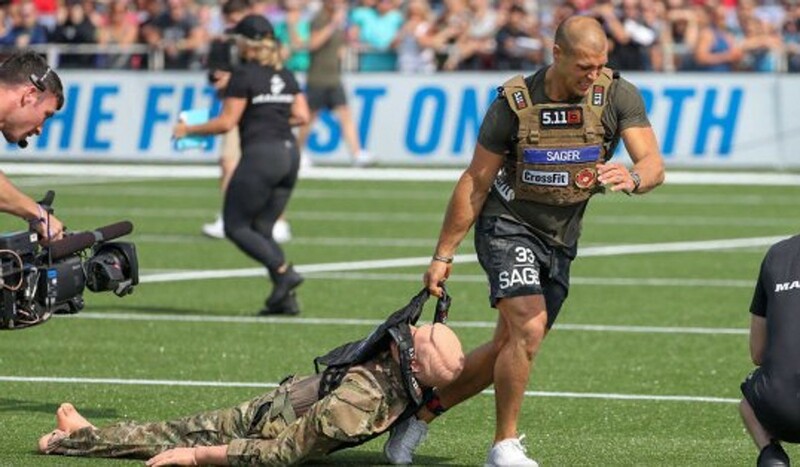 They had to start in the North Lot and complete a Rescue Randy Drag (which involves carrying a manikin – Randy weighs 185lb for the men and 165lb for the women) across the stadium. Next up were two Rope Climbs, one on the skinny rope and one on the fat rope. Then the athletes had to run out of the stadium to the Obstacle Course, where they had to complete a series of 8 obstacles. Finally returned to the stadium for two more rope climbs and another Rescue Randy Drag before crossing the finish line. Sager finished in 8:35.01 in heat four to take victory, follow by Fraser, Hogberg and Vellner. Australia’s James Newbury (9:11.87) rounded out the top five by setting the time to beat in heat three. “I just kind of looked at the dummy as if it was a sled drag,” Sager, who was the only male athlete to drag Randy one-handed, said. During the race through The Battleground, @PatVellner fell from the cargo net. He went on to finish third in the event. There was a worrying moment for Vellner though when he fell from the cargo net during the obstacle course, but he went on to finish fourth in the event. He then returned to compete in Individual Event 6 after being taken through the medical protocol and released. In the women’s competition, Horvath extended her lead going into Individual Event 6 to 38 points, winning here with a time of 9:29.76. Toomey had to settle for second, ahead of Davidsdottir and Thorisdottir. 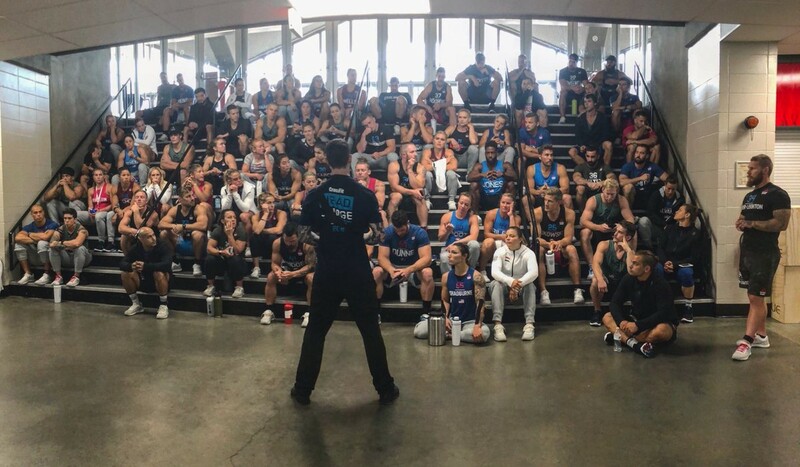 In true Dave Castro style, he gave the athletes just an hour’s notice before announcing what Individual Event 6 would be. The CrossFit Games HQ director informed them he would be adding an overhead element to the Clean Speed Ladder event from the 2014 Games. There were to be three rounds of heavy ladders, each with progressively heavier barbells, with time caps of one minute, two minutes and three minutes in the Coliseum. Female athletes had to lift 155-160-165-170-175lb, then 180-185-190-195-200lb, and then finally 205-210-215-220-225lb. Male athletes had to lift 245-255-265-270-275lb, then 280-290-300-305-310lbb, and then 315-325-335-340-345lb. There were to be eight heats of quarter-finals, with the 20 fastest men and 20 fastest women moving on to four heats of semi-finals. Five men and five women would then progress to the finals. There was a shock in the men’s field, where two-time defending champion Fraser showed he is only human after all. The American failed the final barbell twice in the semi-finals, missing out the finals, with Nick Urankar taking 100 points in 1:51.1. 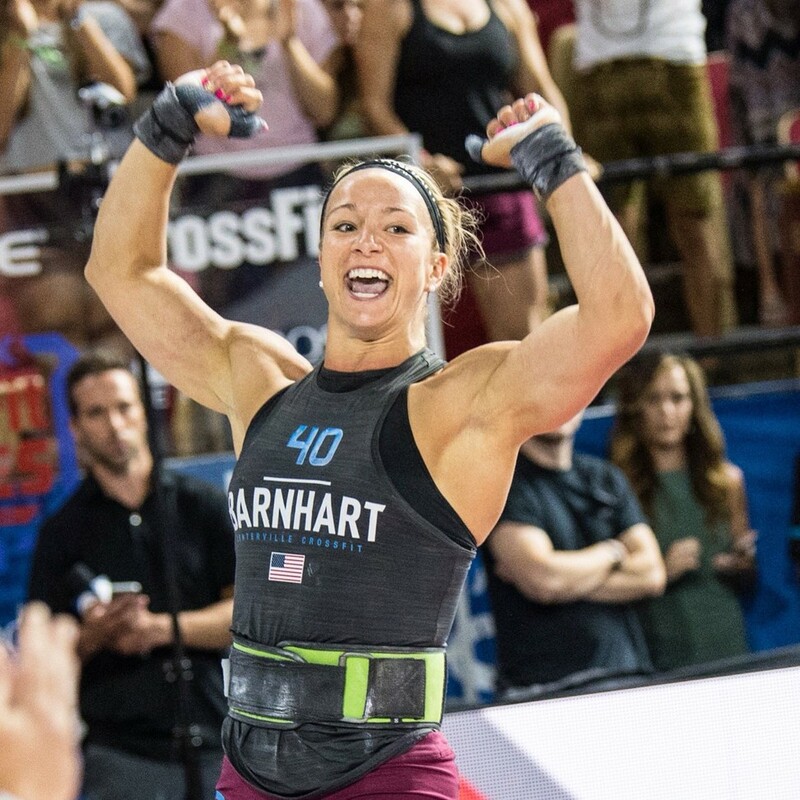 And Amanda Barnhart of the United States scored a big upset on the women’s side – the rookie won her first CrossFit Games event, edging out Toomey in the final gauntlet of 225lb bars. Saunders and Thorisdottir were behind them, with Cassidy Lance-McWherter fifth. “This Coliseum is insane. You guys helped me get through those last few bars, so thank you so much,” Barnhart said to the crowd. Athletes had to complete 5-8-13 reps of handstand push-ups, double kettlebell dead lifts, and then overhead lunges for 89 feet. For the men it was a 14 inch deficit for the handstand push-ups, two 203lb kettlebells for the dead lifts and two 53lb kettlebells for the lunges. For the women, it was an eight-inch deficit for the handstand push-ups, two 124lb kettlebells for dead lifts, and two 35lb kettlebellls for the lunges. Athletes had to complete five handstand push-ups and five kettlebell dead lifts, eight handstand push-ups and eight kettlebell dead lifts, then 13 handstand push-ups and 13 kettlebell dead lifts. Then they had to pick up two kettlebells and lunge with them overhead to the finish line, all within a time cap of six minutes. And it was Fraser (4:54.84) who blitzed the field in the men’s competition, getting himself back on track. Noah Olsen was second (5:22.39), while Logan Collins – the only male to complete the event last year – was third in 5:48.06. Fourth place went to Vellner (5:51.65) and fifth was shared by Fikowski and Dean Linder-Leighton. For the women, Davidsdottir took first place (3:31.73) ahead of Kari Pearce (3:40.58) and Thorisdottir (3:48.67). Toomey finished fourth (3:50.69) to stretch her lead at the top while Saunders (3:54.88) was fifth.